Click on the pictures or links below to find out more about each of the news items. THE BEGINNING OF A NEW FRESH EYES BOOK? What could be better than hearing my grandkids read a book of Christmas stories I wrote years ago. Landon is in 1st Grade and Jianna is in 3rd. Click here to get more info about my first book “Christmas Stories from Enoch” and listen to the original recording of me reading the story on the radio in 1982. SMALL GROUPS ARE BENEFITING FROM FRESH EYES SERIES. Pastor John Glennon shares his thoughts about what the books mean to his people at Parkview Church (IL). For more info about the series click here. 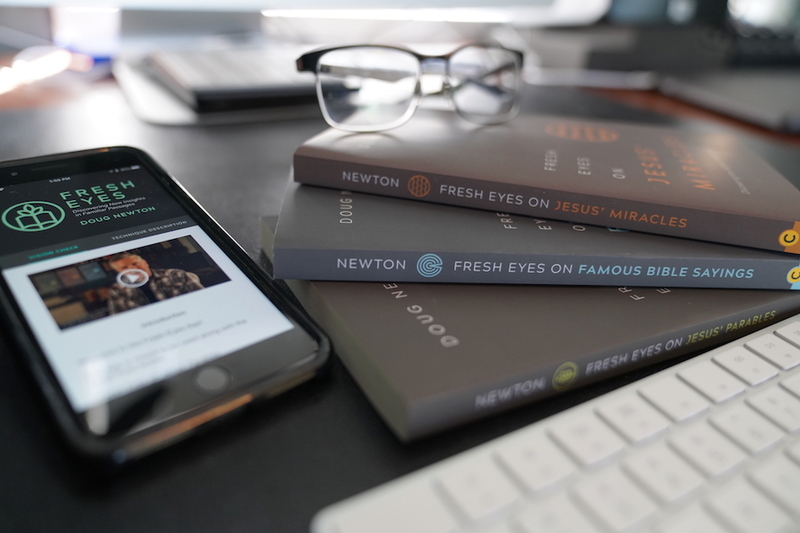 Download the interactive app at the App Store "Fresh Eyes by Doug Newton"
Click the TECHNIQUES button above to go to descriptions and videos of the Fresh Eyes techniques I use to discover new insights in familiar passages. Check out the Fresh Eyes case study describing how this series came to be, written by Wendy Lawton of the esteemed Books & Such Literary Management. Congratulations to Karen Paubel who is the 1st recipient of the Achievement certificate for the brand new “Fresh Eyes Training Challenge” begun October 2018. To earn the award she completed all three Fresh Eyes books, including all 31 Vision Check assignments found at the end of each chapter. I’ve often said that I’m glad to share with people the biblical insights I’ve gained with the help of the Holy Spirit as I apply various study techniques. But it’s much more important to me if people can learn these techniques and make their own discoveries in scripture with the Lord’s help. That’s why I wrote the Fresh Eyes books with assignments at the end of each chapter—so people could practice—and why I recorded 31 videos people can watch to reinforce those study techniques. However, I know it will take people considerable time and effort to learn and practice these study techniques. So I created the Fresh Eyes Training Challenge to encourage people with a few simple rewards that increase as they complete each book. If you’re interested in developing your own “fresh eyes” skills and discovering new insights, click here to learn more about the Fresh Eyes Training Challenge. "Helping you see and say inspirational ideas..."
Sign up with your email address and be the first to know about my latest books, thoughts, and speaking events. JasonArcher.net -- Director of the M.A. in Strategic Communications at Michigan State University writes about faith, leadership, productivity and online education. 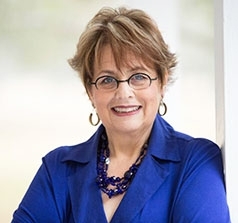 My "super-agent" Wendy Lawton gives the inside scoop on how the Fresh Eyes series came to be in a blog titled, "An Innovative Approach--Case Study"